Here at Riverspointe Spa in Estes Park, our infrared sauna provides you with an ideal way to relax after a long day. 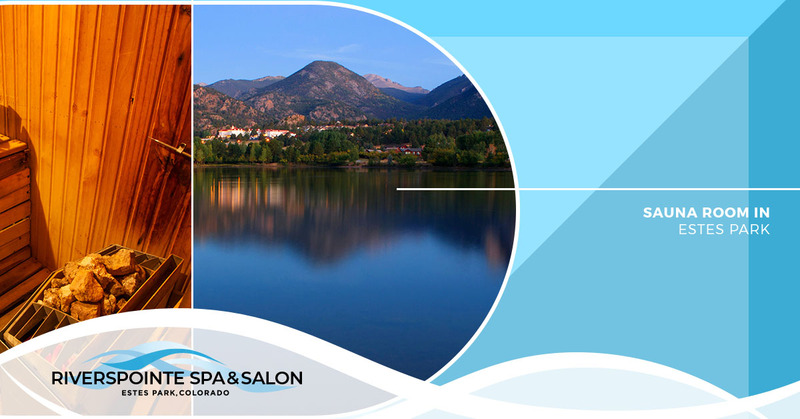 Whether you were hiking up Longs Peak or you were busy shopping around town, soothe sore muscles with a relaxing day at our spa. We provide an array of services including massages, facials, body treatments and more. One way we help our guests relax is through the use of our infrared sauna. Book an appointment today or stop by our spa to learn more about achieving relaxation and comfort. An infrared sauna can be the perfect way to complete a day at our spa. With the warmth overtaking your body, you will enjoy a variety of benefits from your visit. An infrared sauna can ease pain in your body, particularly after a long day of hiking in the mountains. It will improve your joint movement and increase your circulation, leading to faster healing. Not only will it soothe achy muscles, a visit to the infrared sauna will reduce your stress levels. Taking the time out of your day to relax in our infrared sauna can leave you feeling calm and at peace. Spending time in the infrared sauna can also promote healthier skin. Talk to our team about pairing a visit our sauna with other skin rejuvenation services so you can leave our spa looking and feeling your best. If you are looking to visit our infrared sauna in Estes Park, we invite you to book an appointment today. We can help you decide on the best services to schedule to ensure you leave our spa fully relaxed and ready for the days ahead. Whether you are visiting us during a vacation or you are preparing for your wedding day, we welcome you to enjoy the relaxation of a day at Riverspointe Spa.